Tourism arrivals to Oman will increase at a compound annual growth rate (CAGR) of 13 per cent between 2018 and 2021, according to data released ahead of Arabian Travel Market 2018 (ATM), which takes place at Dubai World Trade Centre from April 22-25. Commissioned by ATM, the Colliers International data predicts the rise will be fuelled by visitors from across the GCC, who accounted for 48 per cent of guests in 2017. In addition, arrivals from India (10 per cent), Germany (6 per cent), the UK (5 per cent) and the Philippines (3 per cent) are also expected to contribute heavily to the growth, supported by new visa processes and improved flight connections. Historically, the Middle East has been the largest source market for Oman, with arrivals from this group increasing at an annual rate of 20 per cent between 2012 and 2017. These trends have contributed to a spike in companies looking to enter the Omani tourism market, as demonstrated during ATM 2017 when the number of attendees interested to do business with the sultanate increased 13 per cent compared to the 2016 edition of the show. The number of attendees from Oman increased 18 per cent over the same period. 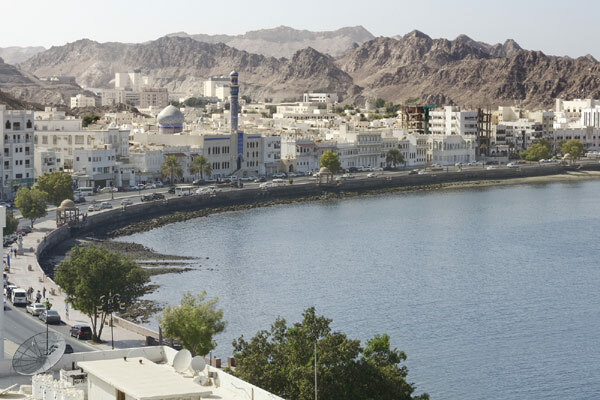 Accommodating the predicted influx, a number of major hotel chains have recently announced properties in Muscat, driving the 12 per cent CAGR over the next three years; from 10,924 rooms in 2017 to 16,866 in 2021. These include Muscat’s first Novotel; a four-star, 300-room Crowne Plaza; and the 304-room JW Marriott, all located near the Oman Exhibition & Convention Centre. Additionally, Starwood is developing a five-star W Hotel, as part of ongoing work at Muscat’s Royal Opera House. Leading domestic investment, Oman Hotels and Tourism has committed to building 10 hotels across the country with a projected value of $260 million by 2021. Supply in Muscat is dominated by five-star properties, accounting for 21 per cent, and four-star, accounting for 24 per cent. Complementing its hotel pipeline, Oman has made significant investments in other tourism infrastructure, including airports. Expansions at Muscat and Salalah International Airports pushed passenger figures to 12 million and 1.2 million in 2016, an increase of 16.6 per cent and 17 per cent respectively and YoY growth to 2017 reached 18 per cent and 24 per cent, respectively. Further developments at three strategic, regional airports are also ongoing. Looking ahead to ATM 2018, exhibitors from Oman include Hormuz Grand by Radisson Collection, Oman, Park Inn by Radisson Hotel & Residence, Duqm, Oman Ministry of Tourism and Oman Air.